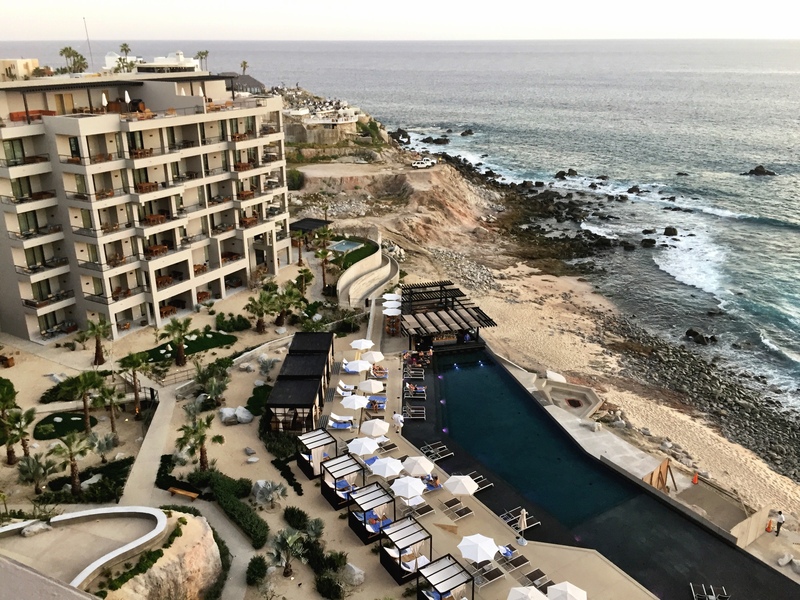 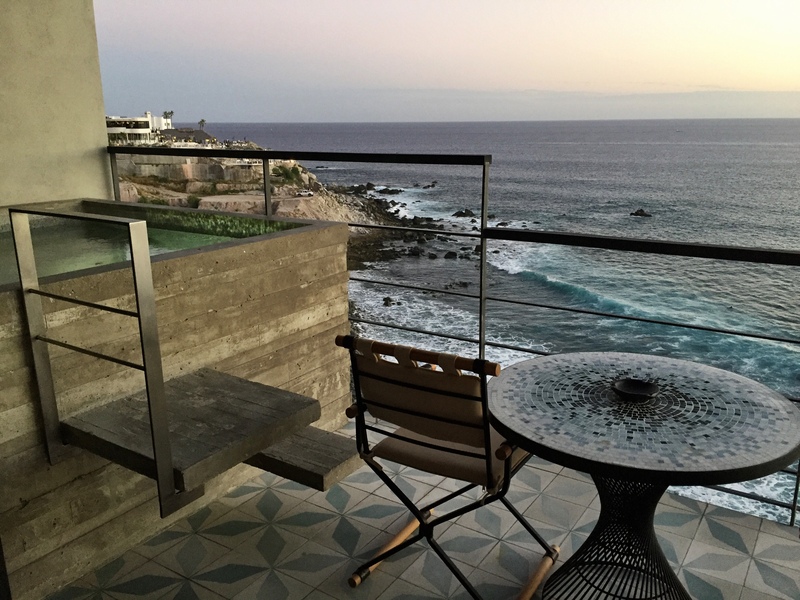 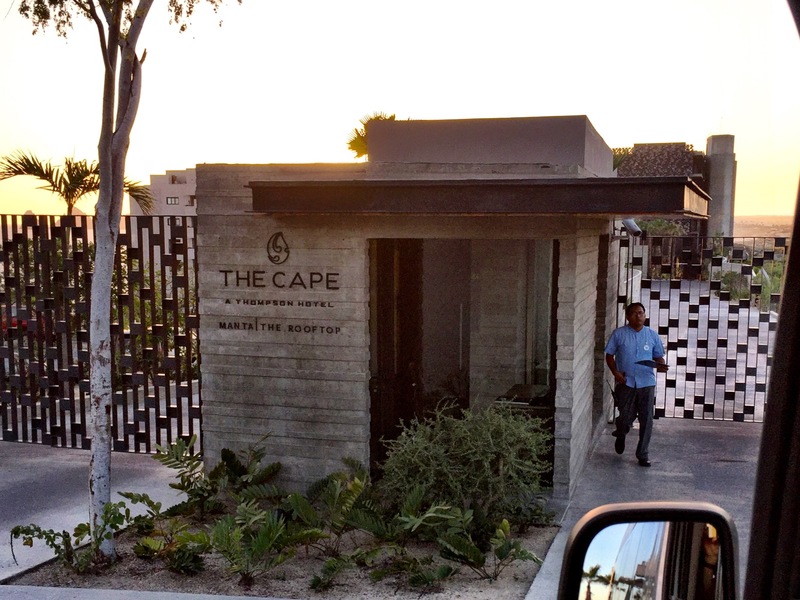 The Cape Hotel in Los Cabos was the first new hotel build completed post-Hurricane Odile in the Fall of 2015. 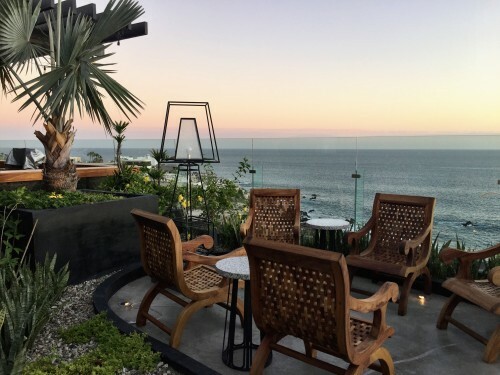 This design-focused boutique hotel which sits on Monument Beach, known for great surf breaks, is described by Vogue as “60s modern-meets-Baja desert.” When you walk in, you notice a life-size whale made of driftwood and a very open bar with comfy orange couches to sink into with your favorite beverage. 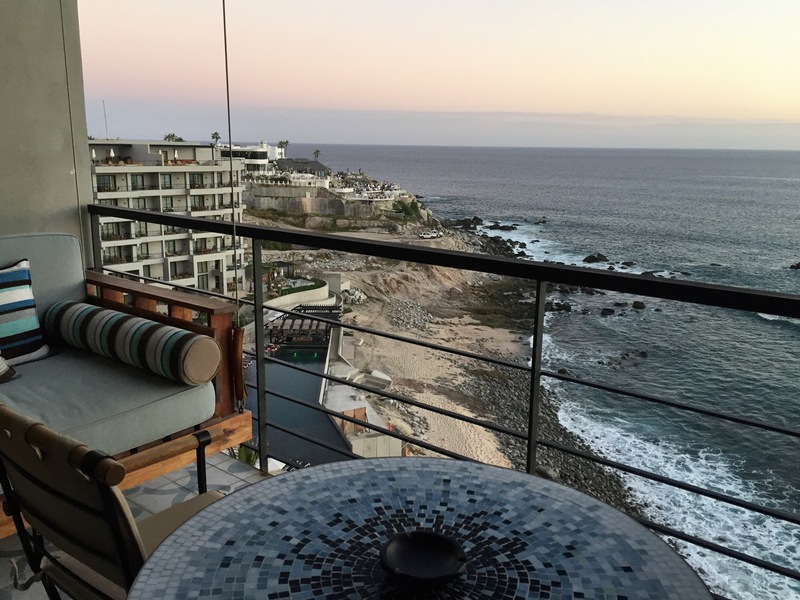 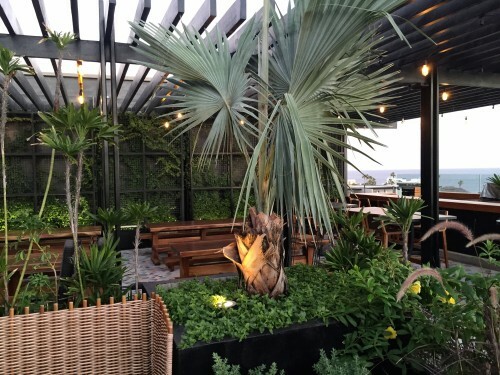 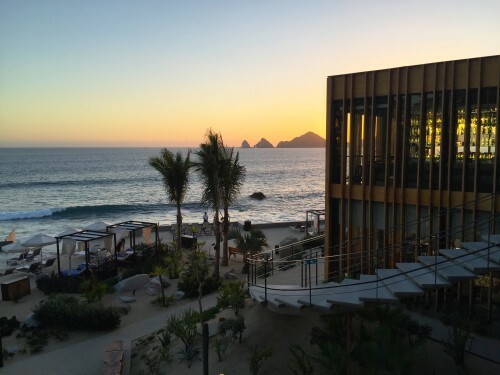 The Cape also features Cabo’s only rooftop bar, with sweeping views over the coastline. 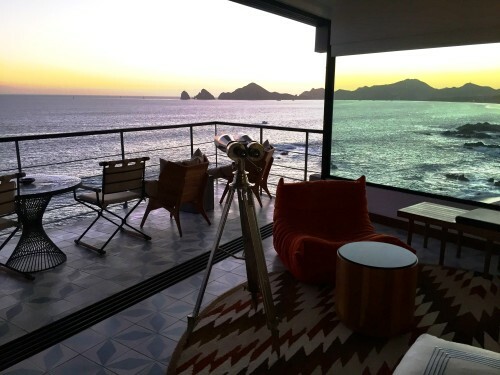 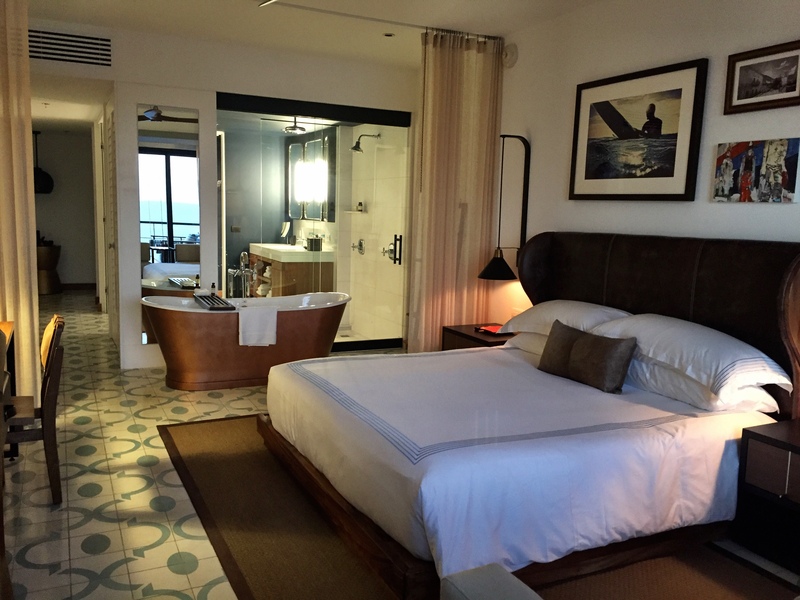 In fact, every room and public area at the Cape features views of El Arco (the arch)! A few rooms have private jacuzzis on the terrace. If you need more space, the second tower features 1-3 bedroom villas. 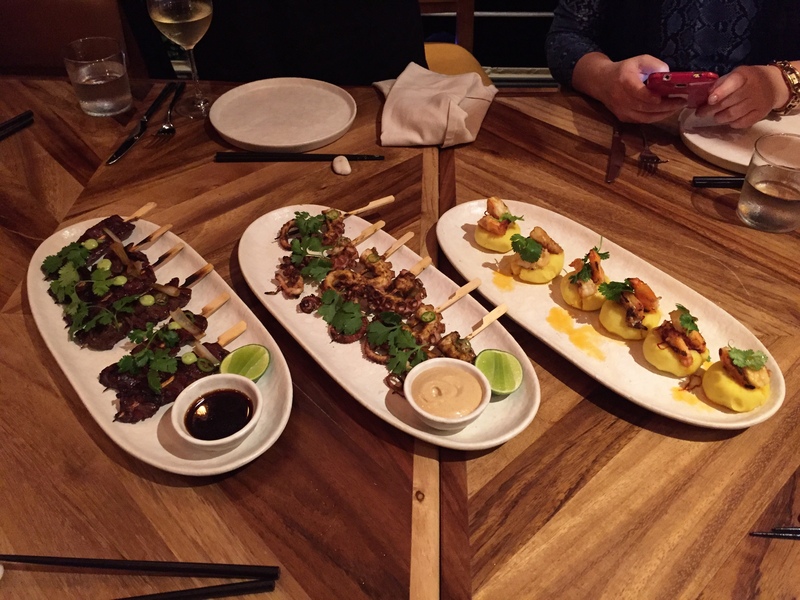 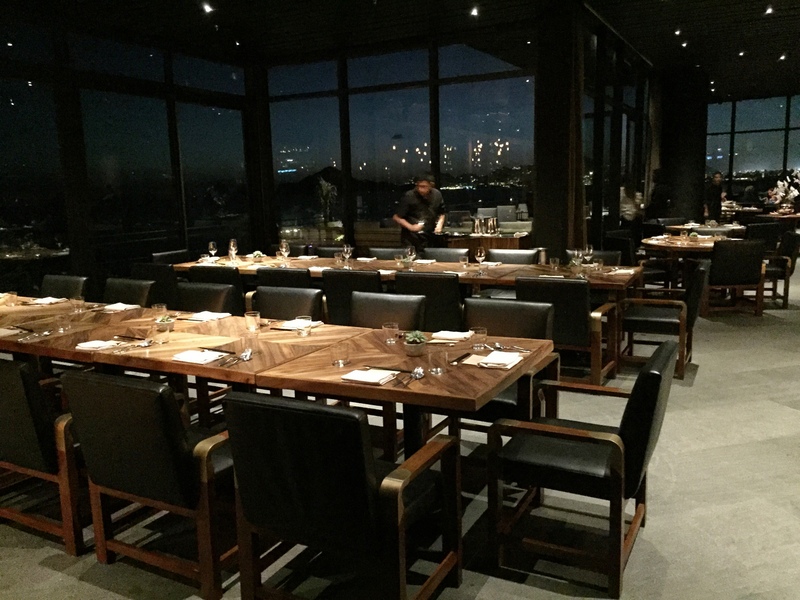 And as the icing on the cake, Enrique Olvera, of Mexico City’s Pujol and NYC’s Cosme fame, chose to open his restaurant Manta here at the Cape. 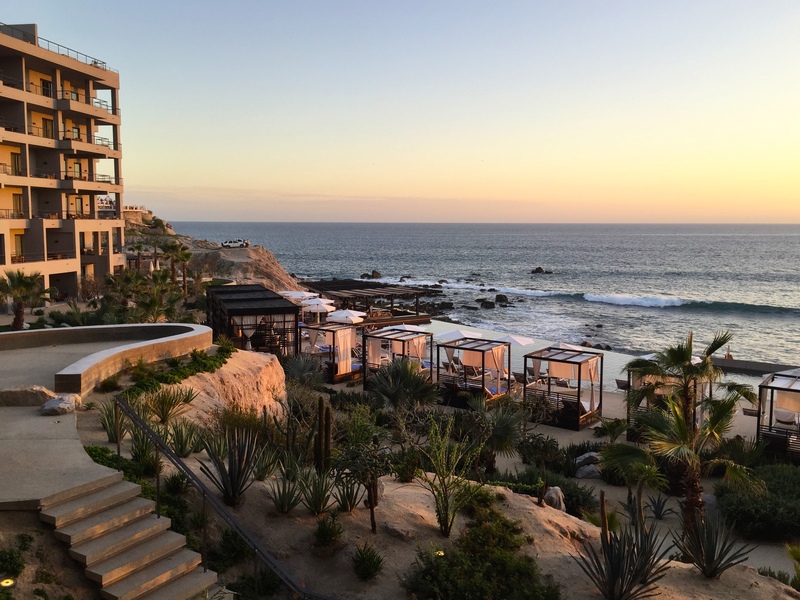 This is a must-do whether you are staying here or not, for the fantastic Mexican dishes under dim lights with floor-to-ceiling windows. My overall impression of The Cape is that it is a fun, chic property, perfect for those who are seeking a trendier atmosphere and appreciate the more modern design. 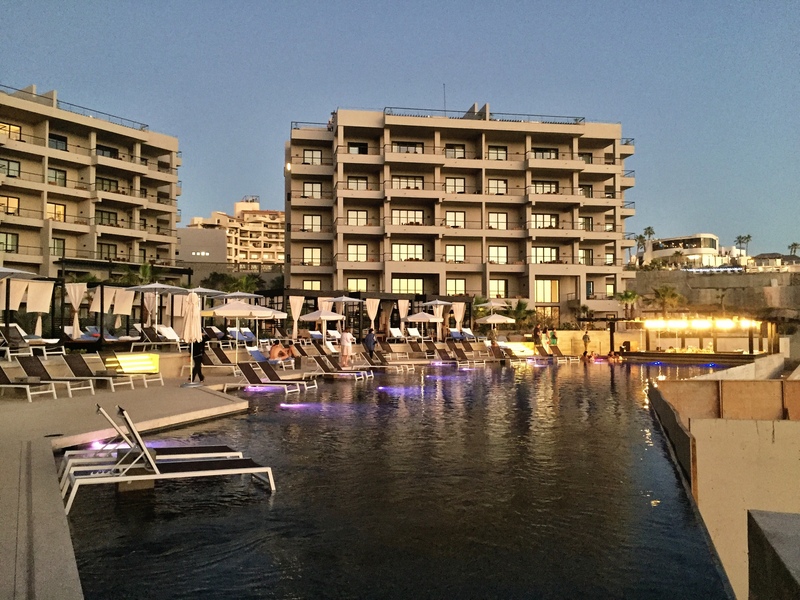 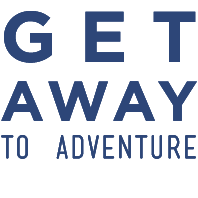 When you book The Cape with Haute Holidays Travel, you will enjoy extra perks such as free daily breakfast, resort credits and upgrades if available.